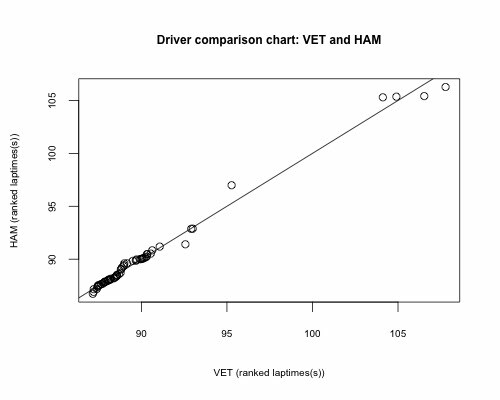 Here's a handful of laptime comparisons between drivers displayed using a QQplot. These plots are generated by ranking each drivers laptime, then pltting the first ranked time of one driver against the first ranked time of the second driver, the second ranked time against the second ranked time, and so on. The line in the plot is x=y. 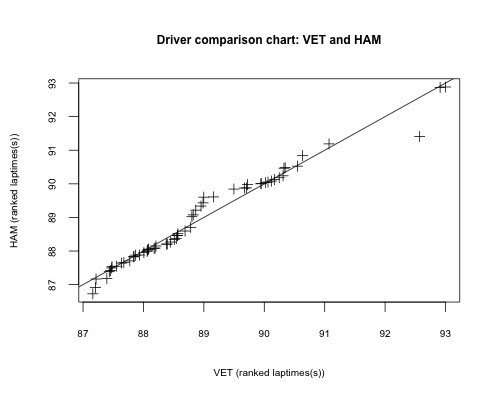 If the trace falls below this line, it shows the driver on the y-axis has a faster time. 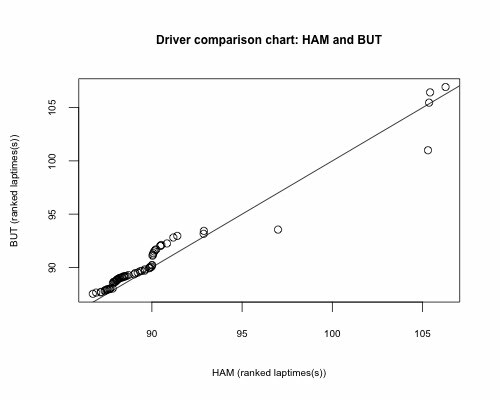 Conversely, if the plots are above the line, the driver on the x-axis was faster on those rank-ordered laps. How about Vettel and Hamilton, given the race was closely fought between these two drivers? Hamilton definitely appears to have faster faster laps (sic) than Vettel. But - and here is the but that I hinted at before that maybe renders the above charts a bit misleading - maybe the fuel weight penalty is affecting things? Here, we see that the very fastest fuel corrected lap times go to Vettel, but then there are a few highly ranked fuel corrected times from Hamitlon. Does a change of symbol type help us see things and more clearly? For times under about 86.5s, I think Hamilton has it? 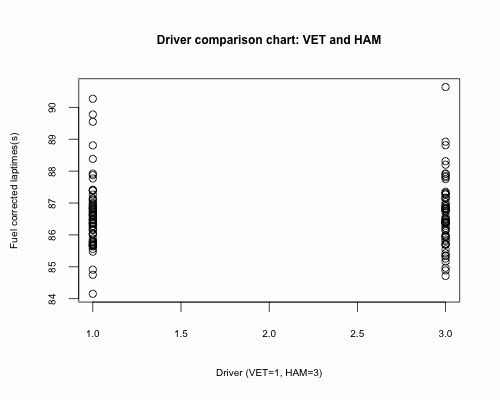 But in general, I'm not sure (form these charts) that we can say whether or not Hamilton of Vettel was generally faster? 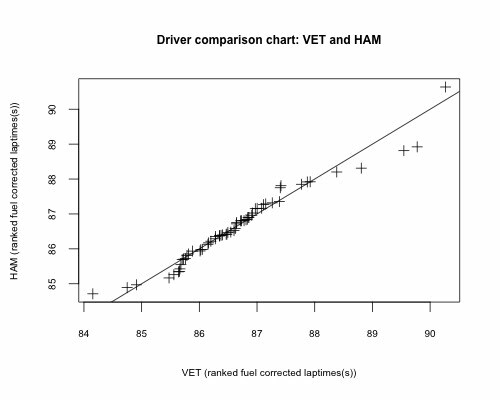 (See also the fuel corrected laptime comparison by lap).